We challenge you: take a tent to Glastonbury festival and camp with the stars! 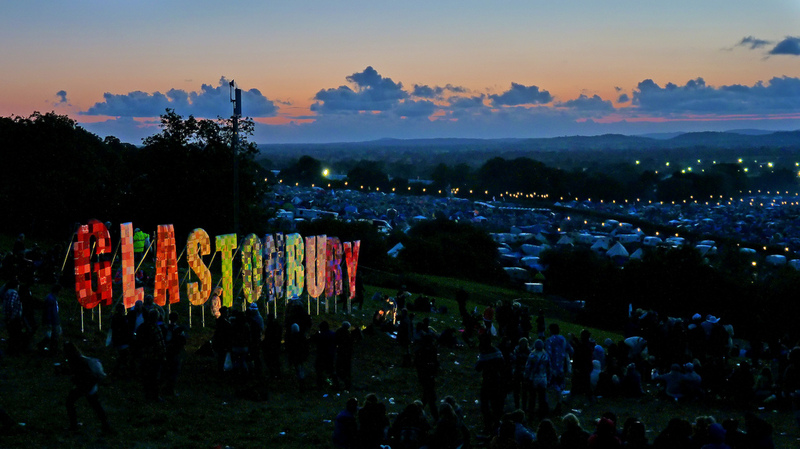 The legendary Glastonbury festival, held at the end of June, features one of the world’s best live music line-ups, as well as a host of comedy, theater, cabaret and other performances. The festival is located in the southwest of England near a small village called Pilton, six miles east of Glastonbury town. There’s not much to see in Pilton, but the town of Glastonbury itself offers plenty of landmarks worth checking out if you need a break from the madness and mud of the festival. The church of St. John the Baptist, the ruins of Glastonbury Abbey, the George Hotel and the Pilgrim’s Inn are among the iconic town’s must-see spots. Every year, the festival features a mind-bending line-up of some of the world’s biggest pop, rock, dance and hip hop artists. Over the past five years these grounds have been host to Muse, U2, Pharrell Williams, The Rolling Stones, Kanye West, Skrillex, Lana Del Rey and many, many more. The star line-up draws a lot of attention, with the number of visitors each year ranging from 120,000 to 140,000 people. 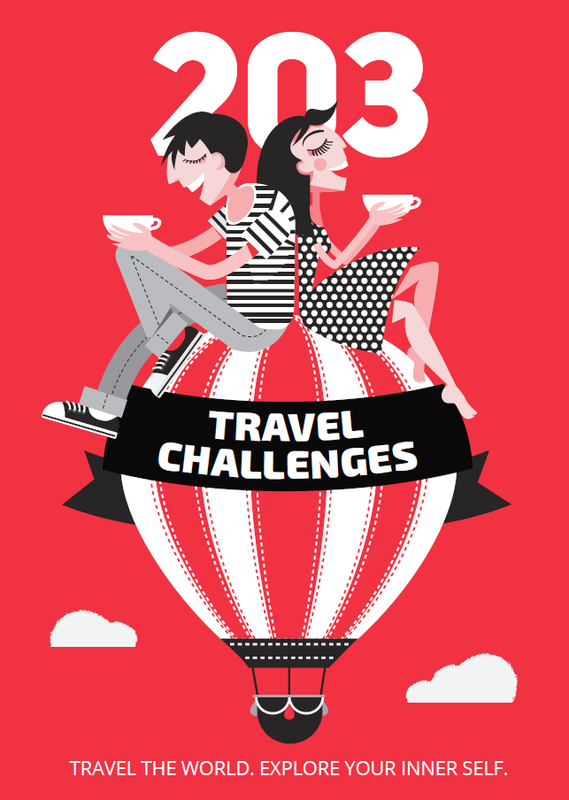 The fastest way to get to the festival is by air, with Bristol International Airport the closest major hub in the region. A bus link from the airport takes you to Bristol Temple Meads railway and bus station. From there, you can catch regular buses and trains to the special station by the festival ground. If you’re considering going by car, be advised that a car pass for the festival costs £45. 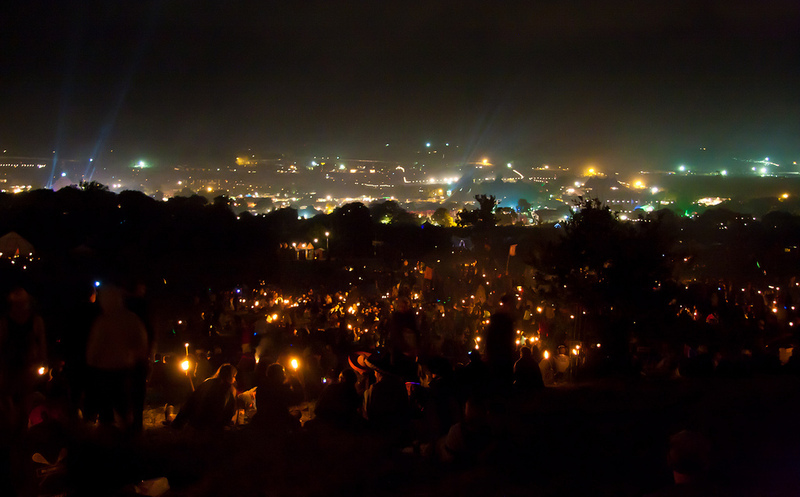 A view over the Glastonbury skyline. This year, the ticket price for the festival is £238 plus a small booking fee of £5. That covers the whole festival, as you can’t buy tickets for separate days. Every festival ticket includes a camping pass, with caravans also welcome at campsites. 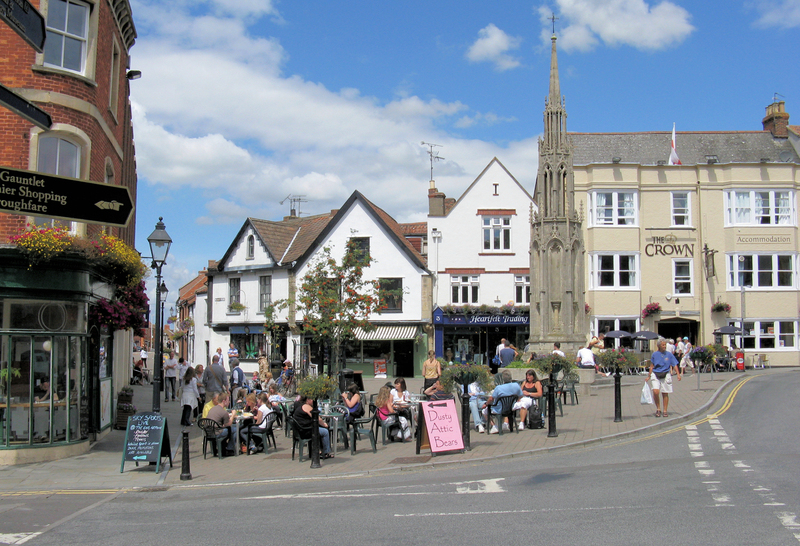 If you prefer to stay indoors, the city of Glastonbury offers plenty of accommodation during festival time, with hotel prices ranging from £50 to £150. Because of its huge popularity, the 2017 edition is already sold out. 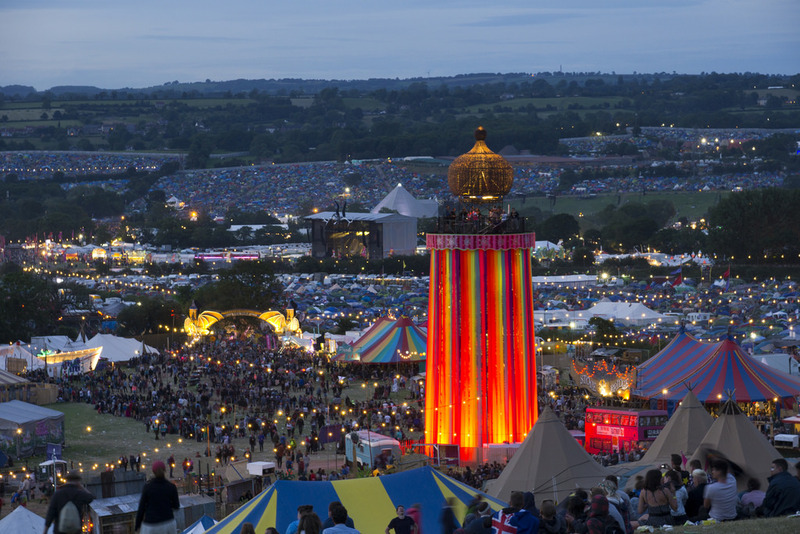 Featuring acts such as Radiohead, Foo Fighters, Ed Sheeran and Major Lazer, Glastonbury is sure to be a memorable start to the summer for those lucky enough to go. However, you can get your foot in the door for next year’s festival if you’re prepared to plan early. Don’t worry, we’re sure the 2018 line-up will be just as spectacular! More information here.